I sniffed it… and I liked it! No1 by Clive Christian is something a bit special, £2700 special to be exact (though the special Imperial Majesty edition pictured above was valued at over £100,000!). I’m not gonna even attempt to describe it to you other than to say that it’s like nothing I’ve ever experienced before. It’s incredibly complex and seems to have so many layers that somehow mingle and dance with one another resulting in something that has to be smelled to be believed. 1. This British Perfume House was first made famous 135 years ago by Queen Victoria when she gave her crown to the perfumery in 1872 as a symbol of utmost quality and excellence. 2. 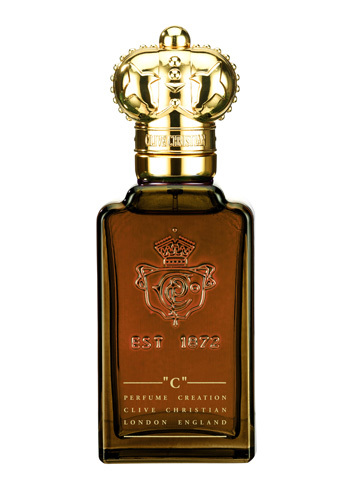 Clive Christian revived this perfumery in 1999 and was inspired by the rich history and high quality from the 1800’s which then led to his creation of No.1 – The World’s Most Expensive Perfume. 3. 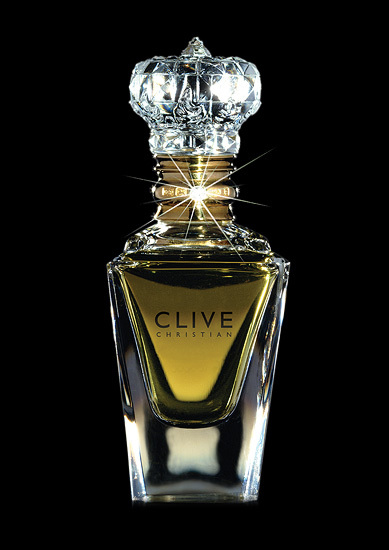 No.1 by Clive Christian is recognized by the Guinness Book of Records as The World’s Most Expensive Perfume. 4. These uniquely expensive perfumes were created with no reference to cost containing some of the most rare and precious ingredients in the world. 5. Due to the highest quality and concentration possible No.1 can only be produced in very small quantities – only 1000 bottles of No.1 perfume for men and 1000 bottles of No.1 for women are released to the world each year. 6. No.1 has perfumed the gardens of Sir Elton John’s White Tie and Tiara Ball and was chosen by Katie Holmes as her wedding perfume for her marriage to Tom Cruise. Officially launching in November, Clive is introducing a new fragrance to the current line up. Entitled “C”, it will be his first new scent in a decade and there is much buzz around this 4th scent which has been released from his own personal collection. With each perfume created, he releases both a male and female version. I’ve had the pleasure of smelling both and they’re BIG. The female version is a floral explosion, whilst the masculine version of “C” is a woody affair. Both demand your attention entirely. These are powerful scents. Available from Fortnum & Mason priced at £195. I wish I could smell it! I’m such a perfume freak. For that much money they could have given it a more exotic sounding name. Something about paying that much money to get a “Clive” doesn’t sit well with me, something exotic like Julio/Pedro would be more apt. I still stick by the Clive thing, hide your name on the underside of the glass! no perfume is worth that waste of money. they also better have amazing abs and know how to sing and dance… and be smart…. be perfect, basically. …Reminds me a little of the film Perfume, story of a murderer. to gain the perfect scent, he must kill virgins. I hope no virgins were killed in the process of uh…clive. I could never buy this! Not even if I had the money. Just too much to spend on something that will run out one day. I would love to smell it though! I found my self trying so hard to imagine the smell…wow. I think that particular one is mostly that expensive just to be that expensive – the exclusivity factor. If I wanted a really great perfume, I’d look at lines like Amouage or Ormonde Jayne which use the best ingredients available, and make amazing amazing compositions. They’re expensive, but … well, they’re actually worth the high price tag (and it’s a price tag with 3 digits, not 4!). I’d kill for a bottle of Amouage Epic (the one for Women). And here my favourite perfume cost me only $11! I can’t imagine that such an increased price necessarily means a nicer-smelling perfume, considering the intricacies of body chemistry. Daaaaaaaaaamn, if I were ever to contemplate paying that price I’d expect the perfume to give me eternal life or something! i would so bye it……OMG!!! Every guy would love you so come on Bye it!!!!!!!!!!!!!!!!!!!!!!! *I have it have i love it!! And every guy wonts to date me so come on be like me bye it!!!! I think they should name a new beautiful perfume Hope for all those ladies that hope to wear something special at sometime in their life.